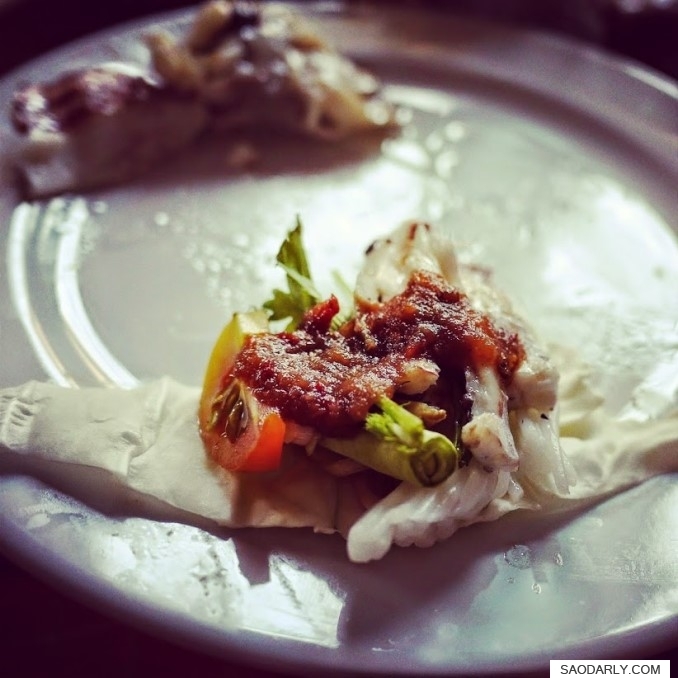 When I go to Laos, I like to eat Phan Pa Nin (Tilapia Fish Wrap) either for lunch or dinner as soon I get off the plane next to Tam Maak Hoong (Lao Green Papaya Salad). 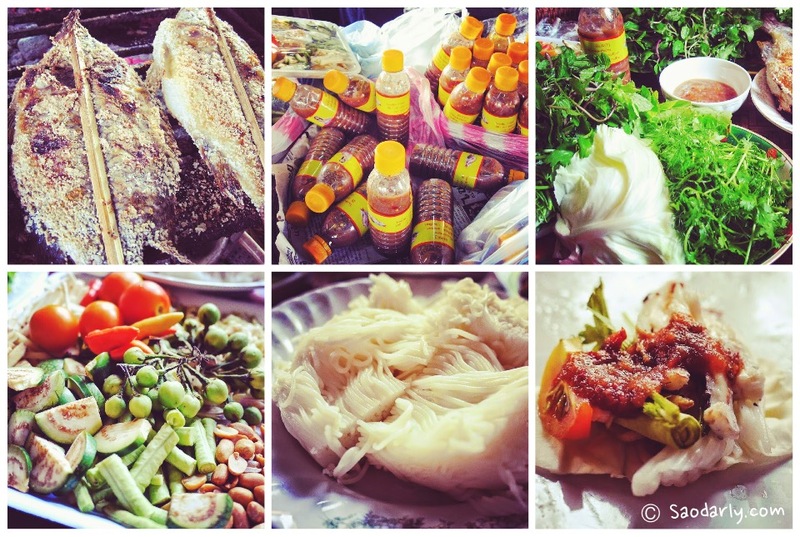 I always go to Talat Kok Pho (Kok Pho Market) to buy a few sets of ready to eat Fish Wrap there. 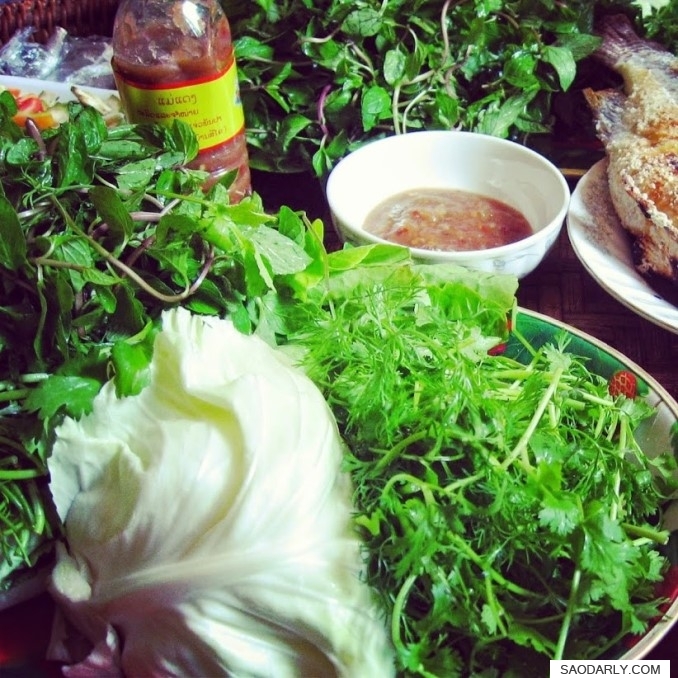 A set of Phan Pa comes with grilled fish, herbs and vegetables, vermicelli noodle, and Mae Daeng Sauce (Jeow Phan Pa or dipping sauce for fish wrap). 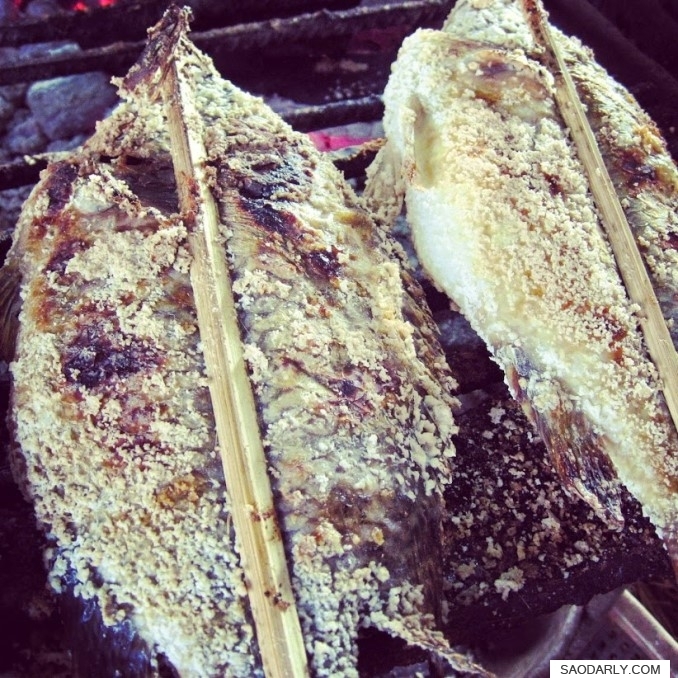 The most popular Jeow Phan Pa (ແຈ່ວພັນປາ) is no other than Mae Daeng Sauce. This is the only brand that my relatives buy for wrap dishes whether fish, seafood, and shellfish. 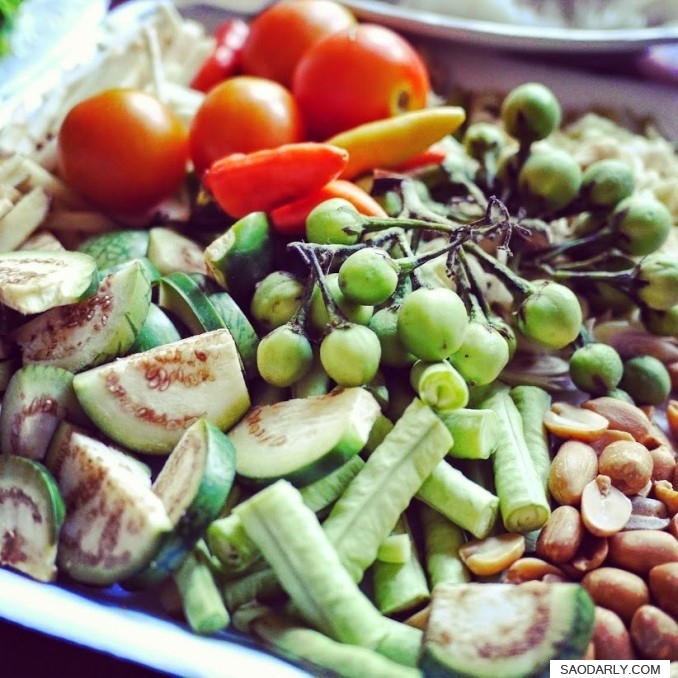 I was introduced to Mae Daeng Sauce when went to Vientiane, Laos in 2007. 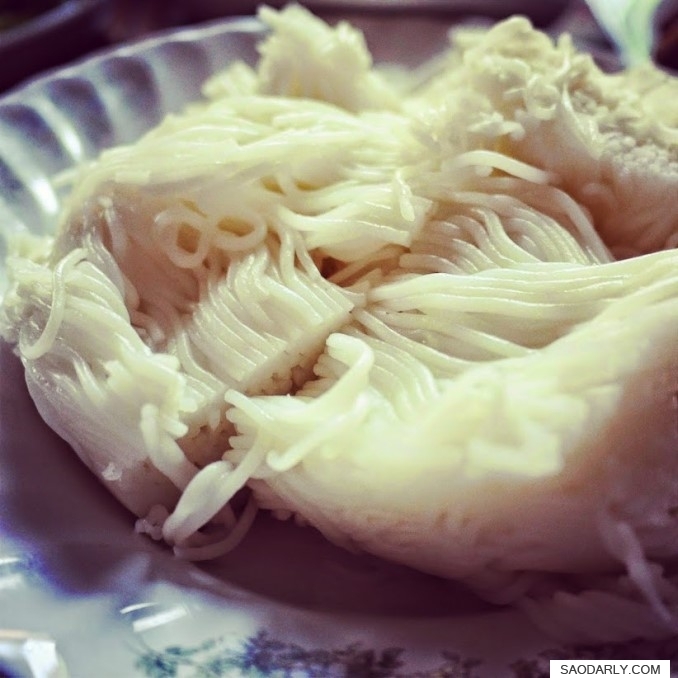 At that time, the sauce was not available in Pakse. 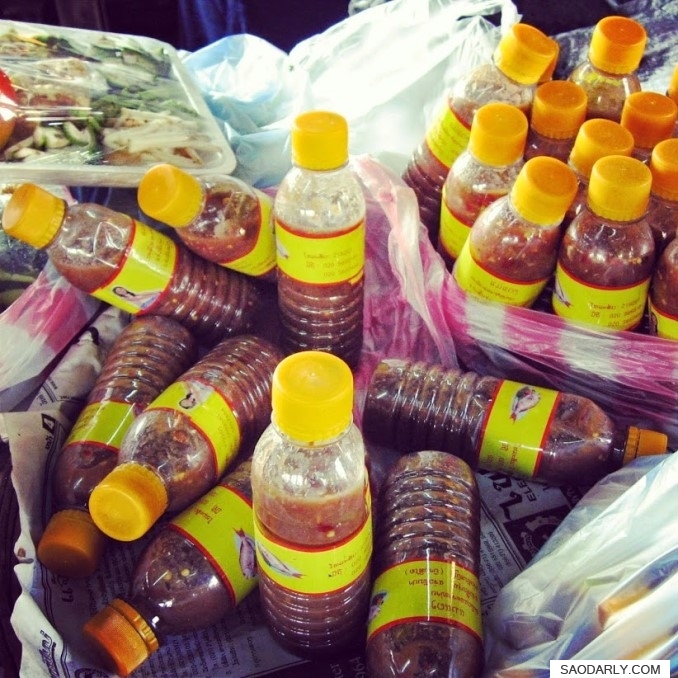 We bought a couple of cases of the Jeow Phan Pa sauce at Kok Pho Market to take to Pakse for Boun Loy Vanh. 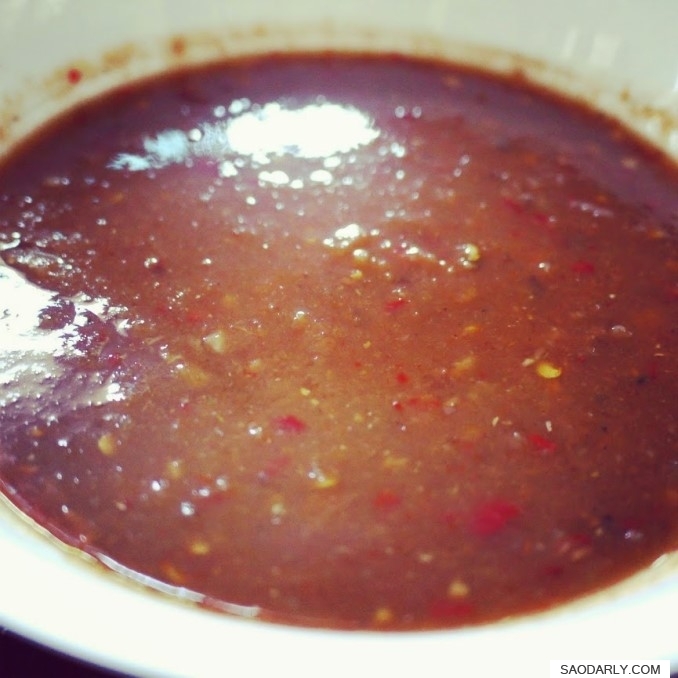 I have been a fan of Mae Daeng Sauce (ນ້ຳແຈ່ວແມ່ແດງ) since then. I even had my aunt sent me the sauce to Holland a couple of times. When I go to Laos, I usually buy a few bottles to bring back with me. It would be wonderful if I can find this brand of sauce at a grocery store in Western Europe in the near future.